Located in Patagonia’s Lake District, the quaint mountain town of San Martin de Los Andes offers a relaxed, quiet alternative to nearby Bariloche. Built on the shore of Lago Lacar and close the Cerro Chapelco ski resort and the Parque Nacional Lanin, San Martin is the perfect basecamp for exploring this gorgeous region. The pebbled beach on the edge of town is great for lounging on the hot summer days (and believe me, they get hot). It’s also the place to organize water sport activities and boat trips to the surrounding villages. Trekking and cycling are popular here although public transport to and from some of the nearby hike is infrequent so renting a car is advisable. Canoes can be rented from the local company Andes Track (the only company in San Martin de Los Andes that will rent equipment without booking a tour). On our trip, we paddled out to Pucara, which took around 4 hours in total. The next day, there was a strong wind and the return trip proved to be difficult and a little dangerous. If you are not a strong paddler, my advice is to settle for beaches closer to the city such as Quila Quina. 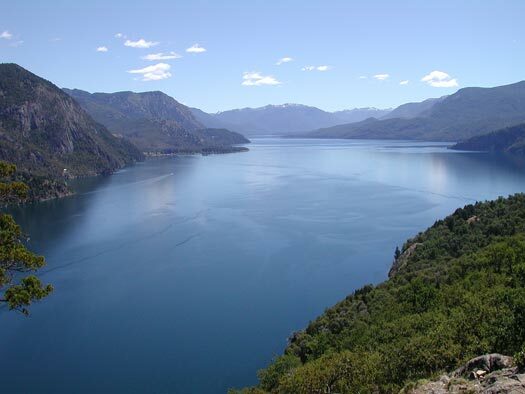 There are also less energetic opportunities to explore the beauty of San Martin De Los Andes and many local tour operators offer day excursions to surrounding areas to walk and explore the beautiful countryside. The fly-fishing options out of San Martin are also excellent. There is also the opportunity to climb Volcan Lanin. It’s a two to three day hike, at an altitude of 3725m, so it’s not for the faint-hearted. Crampons are needed to scale the top of the volcano. If you don’t know what you are doing on snow and ice, it’s recommended that you hire a guide that does. And if all that activity has tired you out, you can relax in the town where the cafes and chocolaterias are plentiful and there is also a good selection of hand knitted and leather goods on sale. This town closes for siesta between 1-5pm, so it’s impossible to buy or do anything except drink coffee and eat chocolate and helado during those hours. (But who’s complaining?!?) In the evening there are some good restaurants. The nightlife is more tranquil than in Bariloche, but there is still drinking in the early hours of the morning in the Irish pubs in the town. San Martin is a fantastic place to visit in summer and an opportunity to relax and to enjoy some of the great countryside. 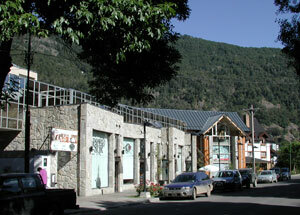 In winter, San Martin De Los Andes is a ski resort, so there is an influx of tourism all year round. 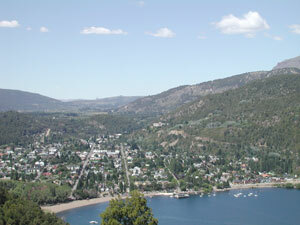 Getting there is a little bit more difficult than getting to Bariloche. The deteriorating state of the runway means that currently only Aerolineas Argentinas flies directly to San Martin De Los Andes. The bus from Bariloche is around 4 hours and the road is slow, windy and unpaved.